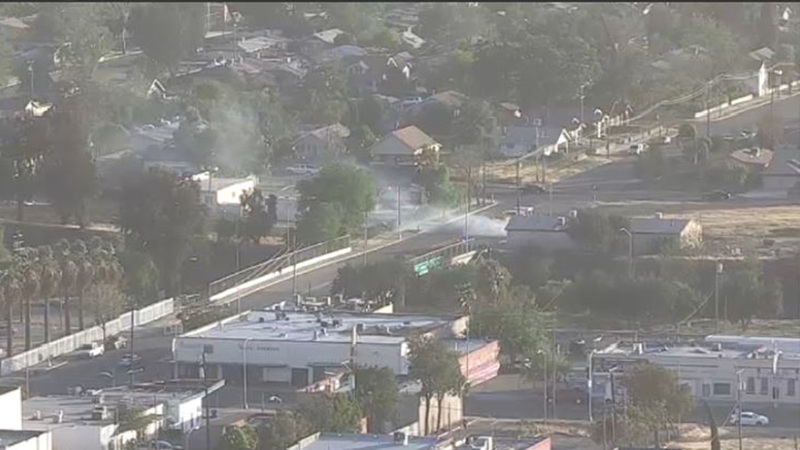 Plumes of smoke can be seen being blown by gusts of wind on our ABC30 Downtown Fresno SkyCam. FRESNO, Calif. (KFSN) -- Several power outages caused by downed power lines have left many thousands of people without power in parts of Fresno and Madera counties. Fresno Fire says they're responding to six incidents in the city related to downed power lines. More than 3,300 customers have been affected, according to PG&E. The most recent incident happened at 5:30 p.m. on Kern Street and C Street in southwest Fresno. Gusts blew power lines down, causing an open field to catch fire. Continuous winds have caused smoke to plume through the area. Over 450 people are also without power in other parts of Fresno County, Fresno County Fire reported. The outage occurred at 4:26 p.m., affecting parts of Clovis and the area of Auberry Road to Millerton Road. According to officials, power lines were taken down by winds on Highland Avenue and Bullard Avenue. 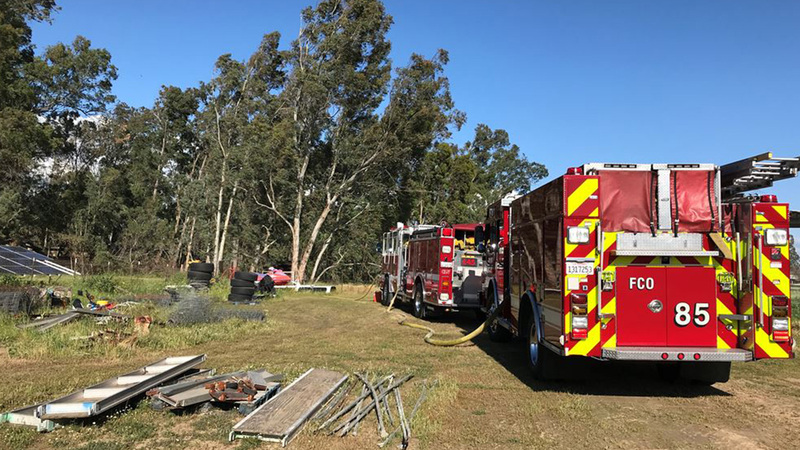 Fire crews said power lines also fell onto a metal fence on Highland and Bullard Avenues Tuesday afternoon. The fence was energized and caused a small grass fire that has since been put out. Eight outages in Madera have left more than 1,500 customers without electricity. At this time, the cause of those outages is unknown. The estimated restoration time for Madera is set for 7 p.m. The wind has brought many trees down in the area as well. Fire officials say with it comes to fallen trees and power lines, they will respond if life is in danger or if the incidents pose as safety hazards.